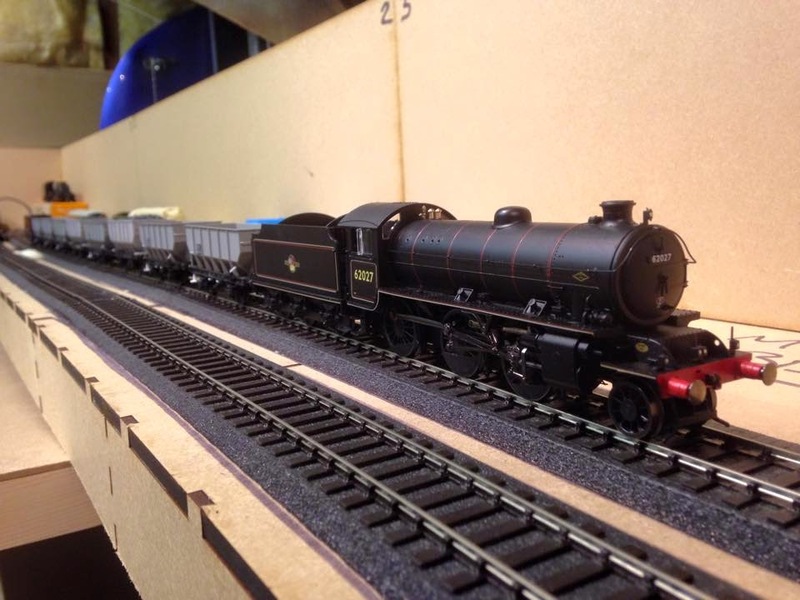 THE BRITISH RAILWAY STORIES LTD: "BRWS Ltd Update #2 - Silver Jubilee"
"BRWS Ltd Update #2 - Silver Jubilee"
Happy Februrary, one and all! As this month draws to a close, I've been reflecting on a lot of things both railway and non railway related. All things considered, 2015 is going exceptionally well. At the end of January, I found out that I had been promoted at work, and I start my new role next month - can't wait! I've also been doing a lot of writing by taking part in 28 Plays Later - it's been great fun but also thoroughly exhausting at times! The last couple of months have also seen seen a bumper round of modelling. 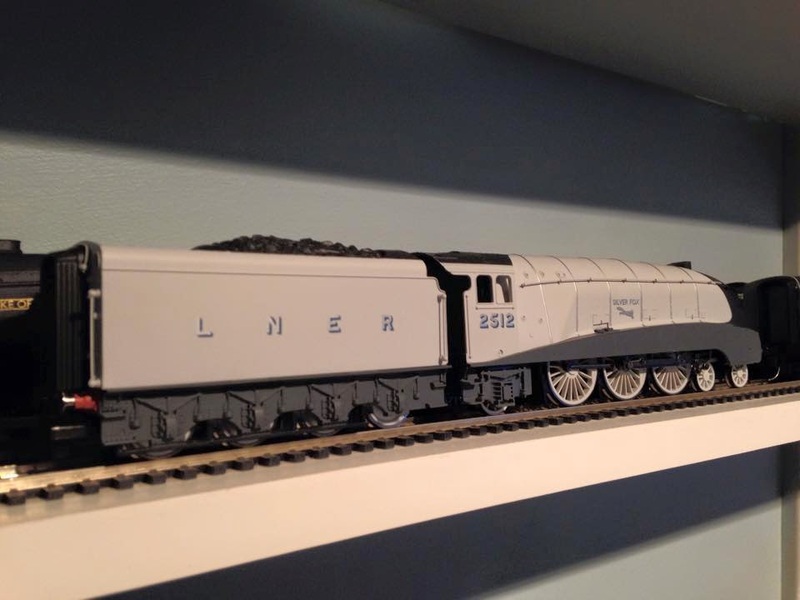 You'll remember the Hornby Railroad Silver Fox train pack I picked up cheaply from a previous blog post I hope. Well, now the set is articulated and on its way towards completion. It is a very simply system. Two screws fitted into the Gresley bogie, and two pivot points in the bottom of the Railroad coaches. Nothing more, nothing less. The pivot points are actually made from the retaining lugs which come from the Great British Locomotives magazine packs - I have hundreds of these now and they are proving to be extremely useful! As you can see, just two screws (again, both sourced from the aforementioned magazine!) 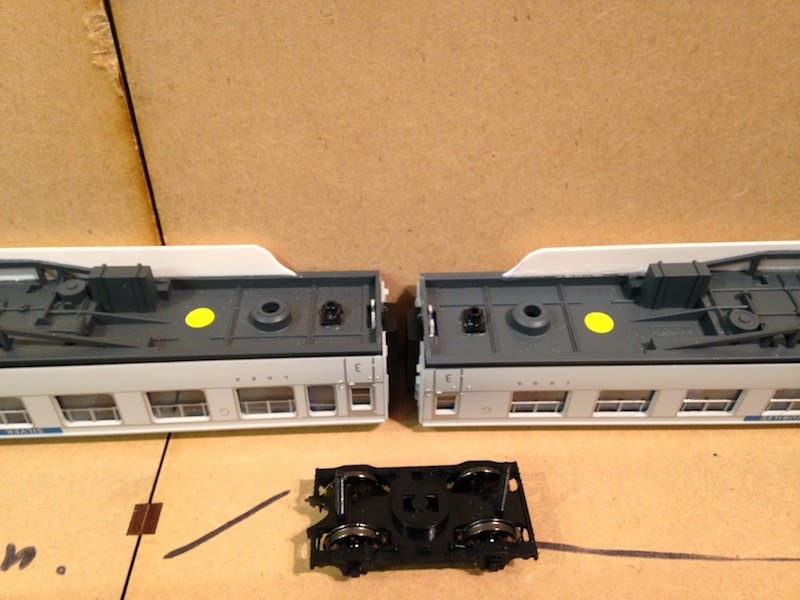 fitted into a standard Hornby bogie. The coaches fit together by the screws being inserted into the pivot point. The only change that needs to be made is drilling out the pivot points to be just a little wider than the screws to allow for maximum flexibility around curves. The valances are being made out of plastic, and at this stage I have no intention to do more than make the basic shape - I tried a number of ideas for bending them to the correct shape, but to be frank these are cheap Railroad coaches and the idea of the project was to make them more passable rather than a rivet counter's dream (which they could never be). The use of some Humbrol acrylic paint - Tank Grey - applied to the sides makes the whole presentation a bit better. 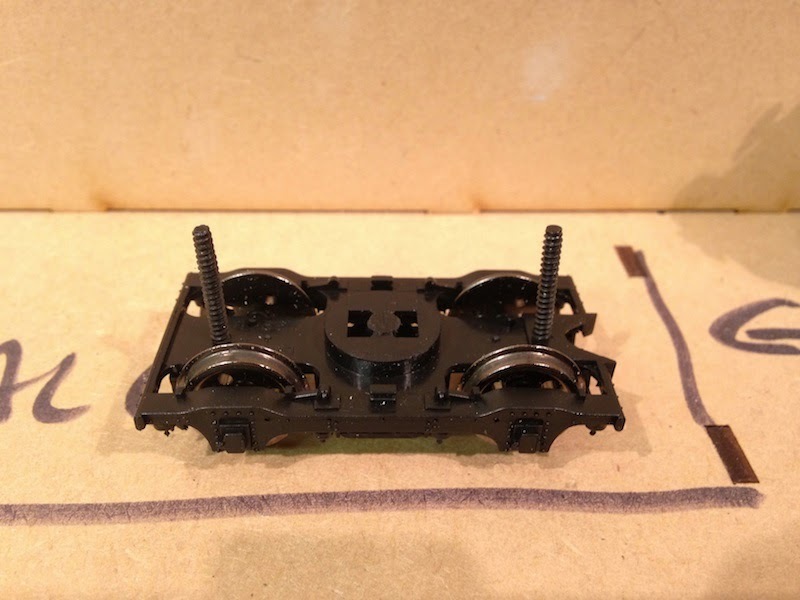 I have since fitted NEM pockets to all of the bogies, and I will be using long shank kadees with them - these worked better than the standard Hornby/Roco coach couplers. 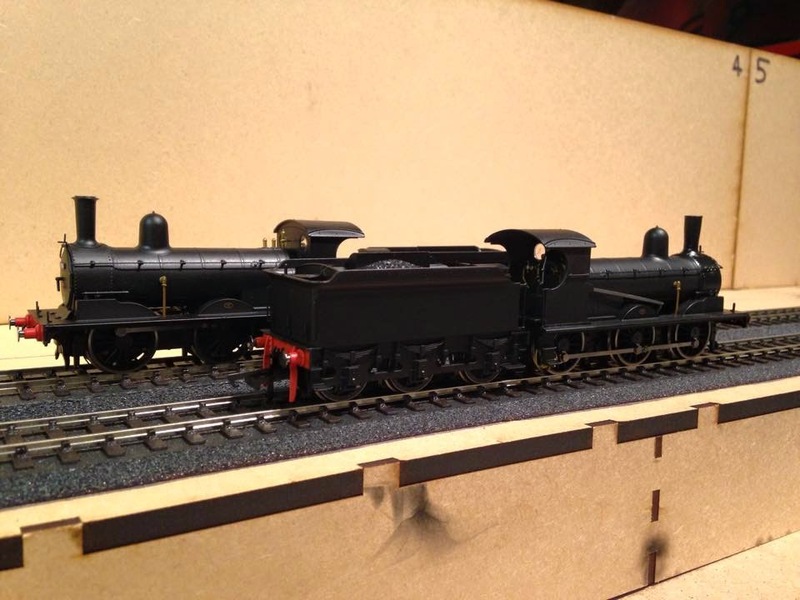 The last alteration I have managed thus far is to the locomotive, replacing the tender and cartazzi frames with two spares I had to make the locomotive look closer to the real thing - spot the difference! The overall effect is quite good I think and lifts the Railroad model a tad. I intend to fit lamp irons and lamps, and some glazing to the cab to finish the model off. 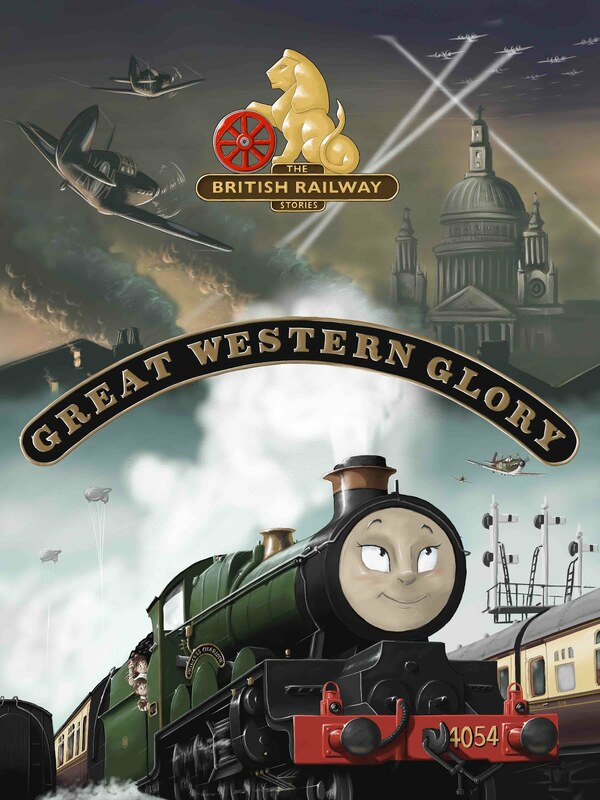 Where would a railway based on the East Coast main line be without the Gresley A3 Pacific? I have been doing a lot of work on mine! 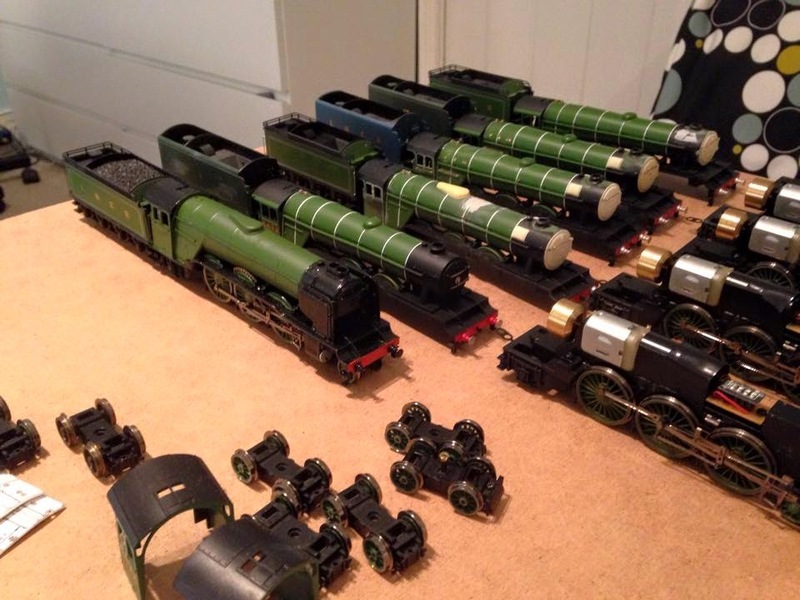 As you can see from the above photograph, they are all based on the Hornby Railroad A1 Flying Scotsman model. The above model is intended to be St. Simon (a little self serving!) 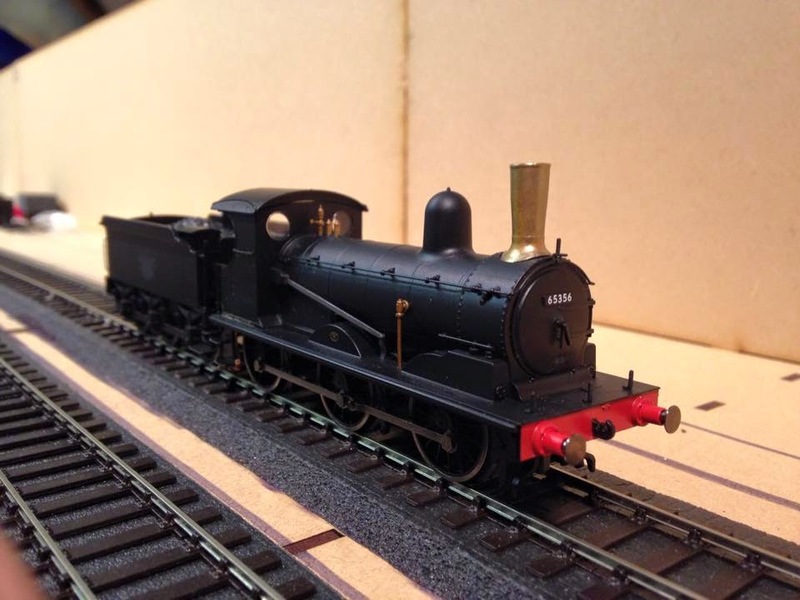 and has had a new cab fitted, a new dome, resin smokebox superheater headers, whitemetal buffers, a resin smokebox door, a new smokebox door dart and a Hornby A3 chimney. The original body shell can be seen above. The cabs come from the Great British Locomotives issue 3, and I think you can tell what the subject of that model is! The white templates in the top right of the picture are for fitting Alan Gibson brass washout plugs - this allows me to drill the holes in the correct place for an 94HP boiler. 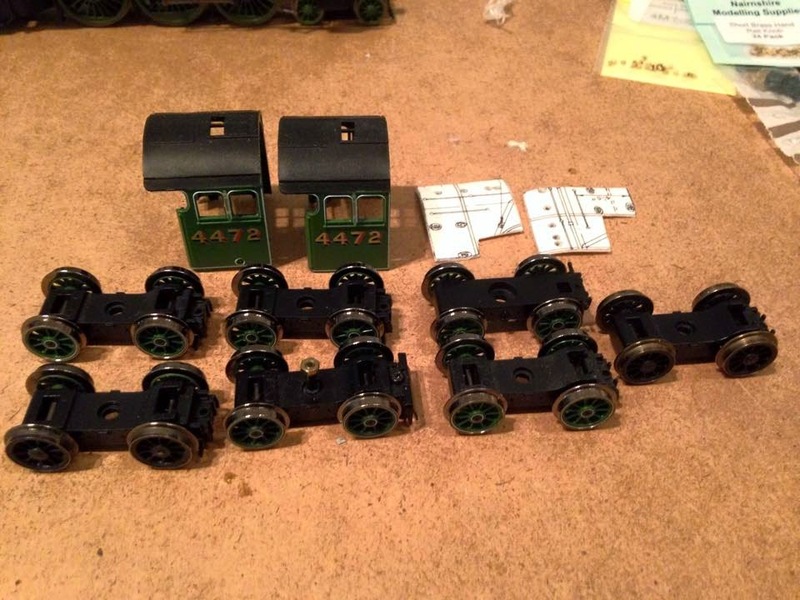 I've replaced all of the driving wheels and the bogie wheels on all of my Railroad A1 chassis now. 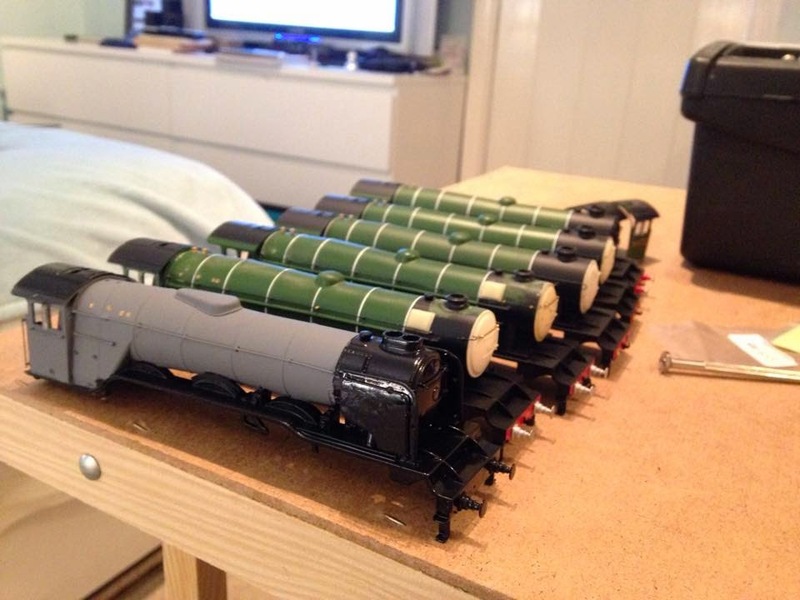 Now paired up with their chassis and tenders, the whole fleet is coming together nicely. 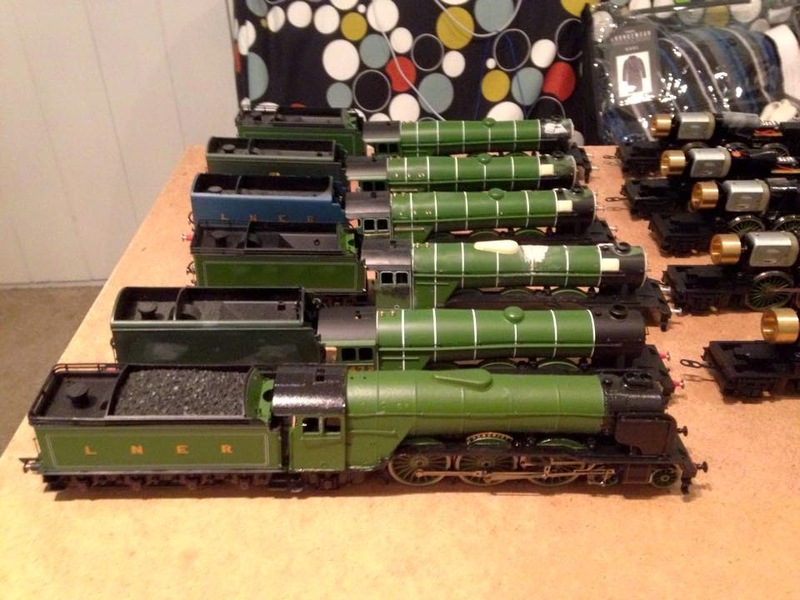 There are going to be three with GNR tenders (St. Simon, Robert the Devil and Humorist, at the front), one with an A4 tender (who else but Flying Scotsman herself?) and two with the non corridor beaded tenders (one will be Trigo, the other I haven't decided yet). Humorist is the furthest along and I will hopefully have finished her, weathering and all, by the summer. She's had the most amount of modifications as she formed the prototype from which I have developed my modelling further. She's by no means perfect but she is all my own work which is satisfying. In January, two significant models landed for review. 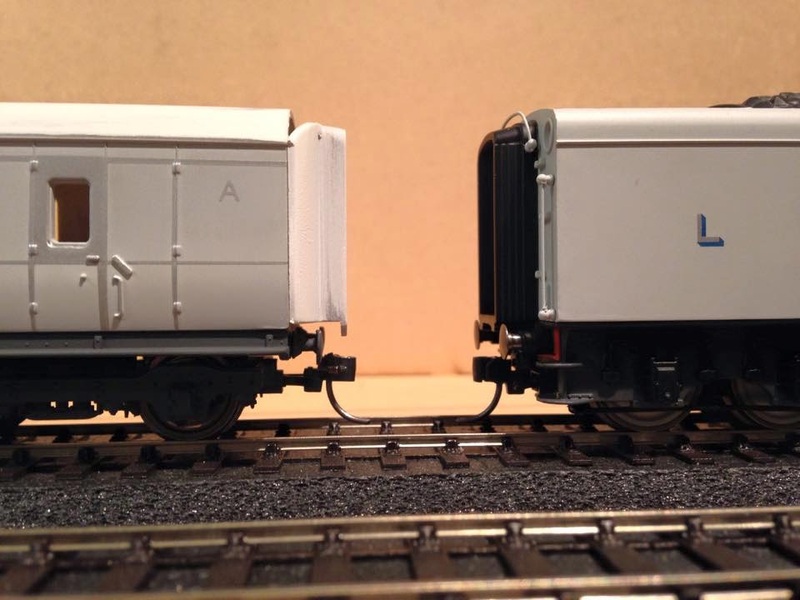 The Hornby Peppercorn K1 and from the same stable, the 21 ton hopper wagon. Both are absolutely superb and complement each other well. 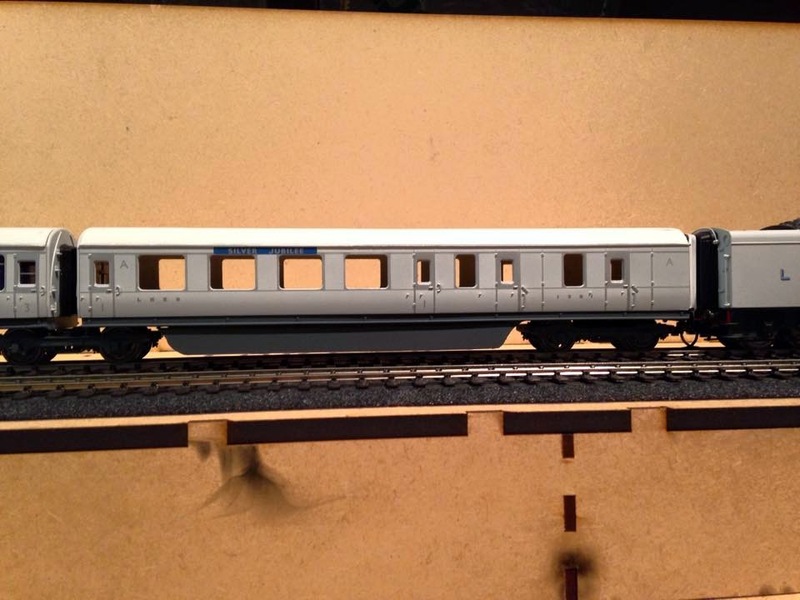 Here is my K1 - soon to be one of the Stratford based examples - pulling a rake of these wagons. 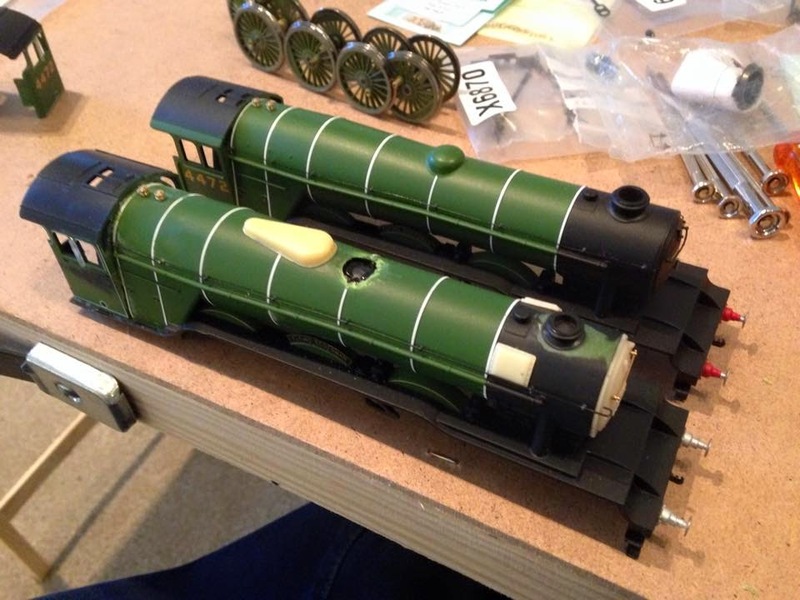 There are two Dapol interlopers in the set which will be modified heavily to match as best they can. 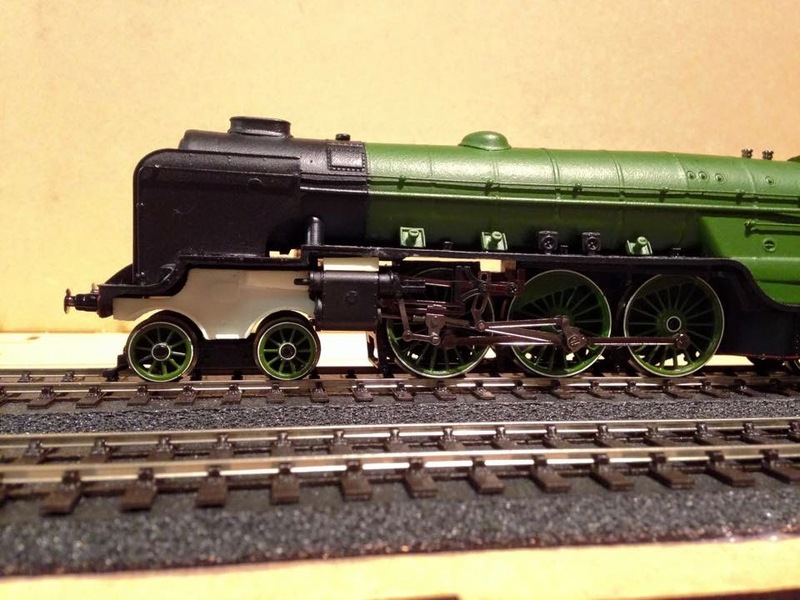 The Hornby K1 is more of the same level of excellence in the locomotive department that we come to expect (particularly the B1/O1/L1/B17 models for example) but the hopper wagons are on another level for rolling stock entirely. 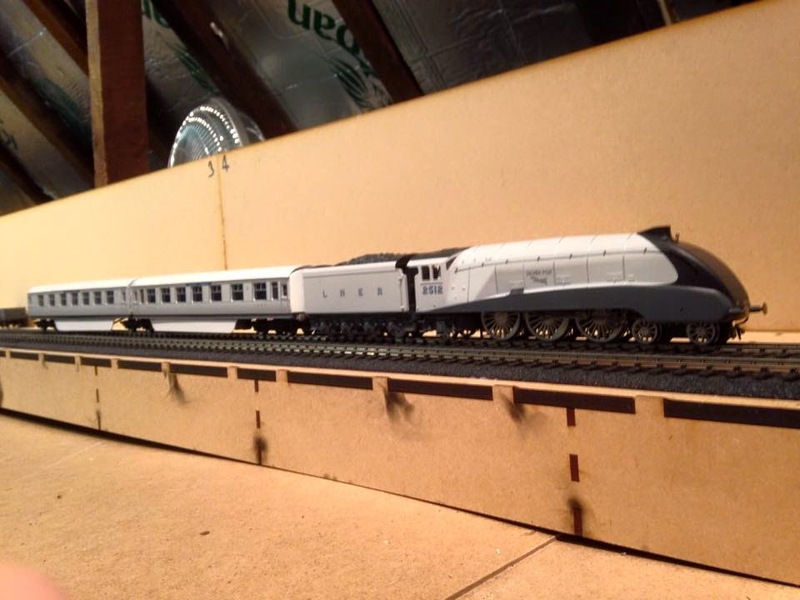 I cannot believe how little discussion has been generated by these wagons online, but I am told by my usual retailers, Invicta Model Rail in Sidcup, that they are flying off the shelves. All for the greater good I suspect! You'll recall, if you have been keeping up with my Twitter or Facebook feeds, that I have been working on a model of a Thompson A2/3 Pacific. This one came to me in pretty bad shape. Well, after a lot of work, the model is nearing completion. I'm quite proud of how much I turned it around on this model. 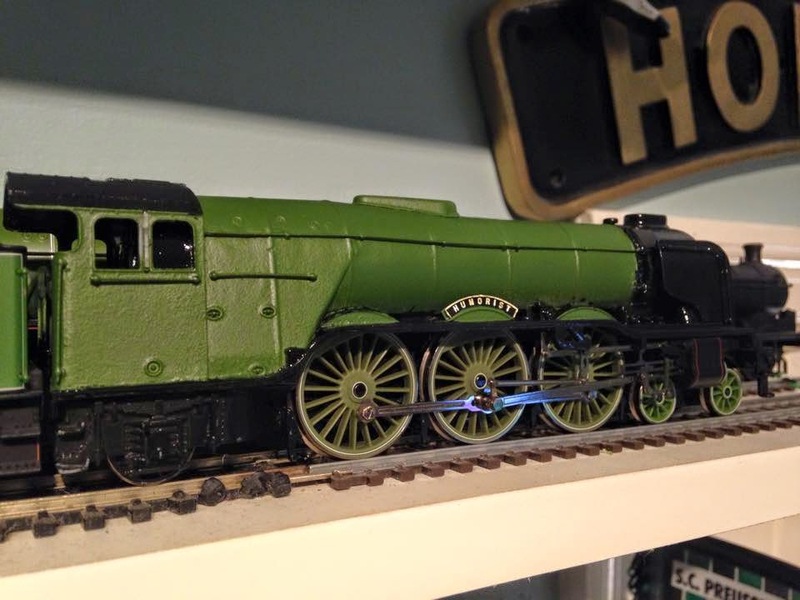 Graeme King came to the rescue with a set of front frames and a new running plate, and after that the fitting of Hornby sprung group standard buffers, Bachmann V2 valve gear, and new cylinders have transformed the model. Add to that the painting stage is now almost complete, and the transfers and nameplates can go on. She'll be finished in LNER plain gill sans numerals and lettering as Sun Castle. This was a Copley Hill based A2/3 for a couple of years in the forties and is one I always wanted to make for myself. I've also been having some fun outside of work and railways! 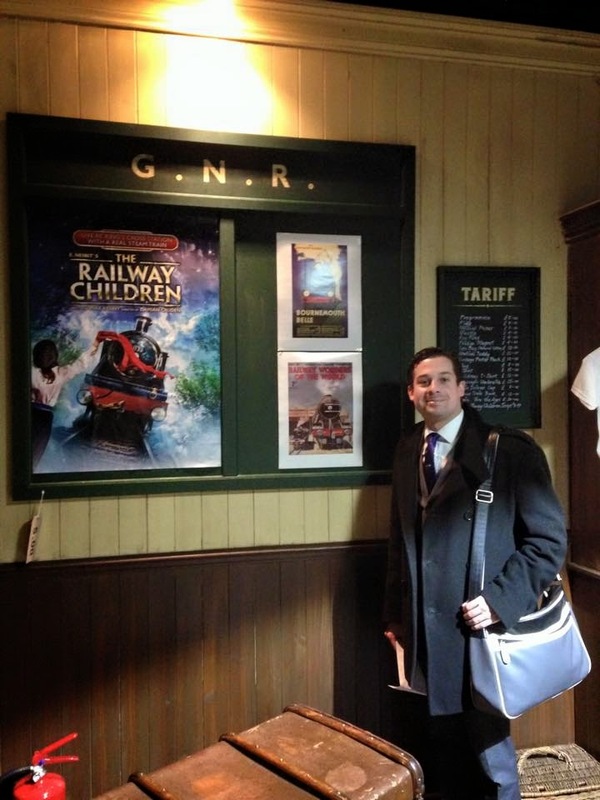 On Valentines day, I took the girlfriend out to see The Railway Children at King's Cross - it is a truly immersive experience and everyone should go, even those who don't like railways, purely because it is such a brilliant performance piece. 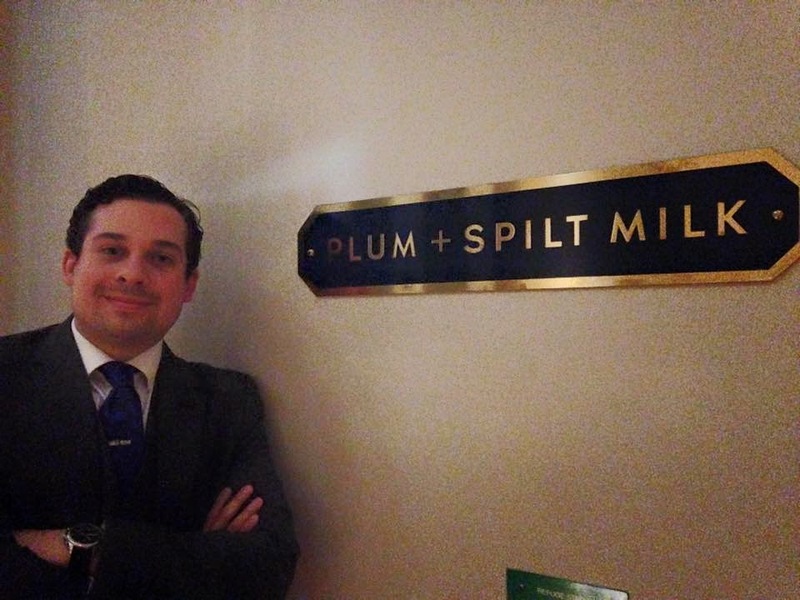 Our evening was spent in a lot of railway related locations, including the delightful Plum & Spilt Milk restaurant - the set course there was excellent! 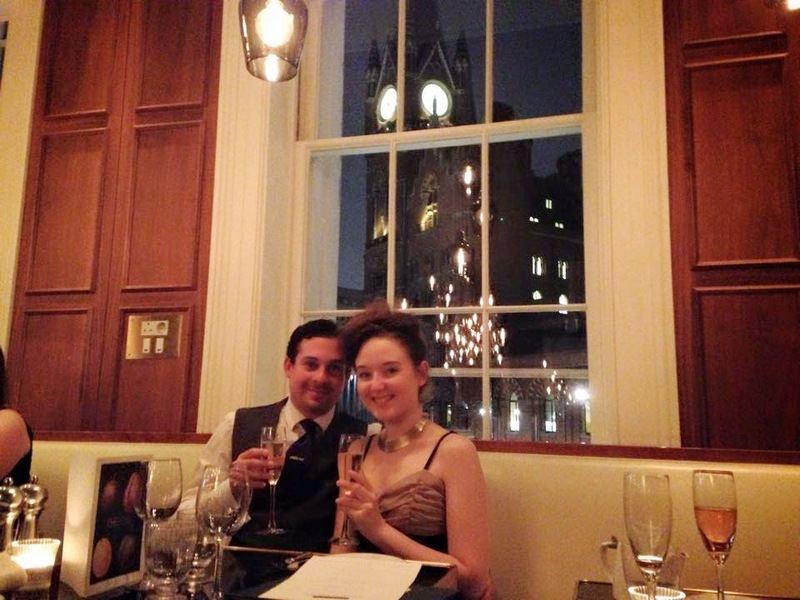 The service was also top notch, and I can attest from my hangover the next day that their cocktail bar is brilliant…! I thoroughly recommend the restaurant but I do not recommend my hair do for the evening! 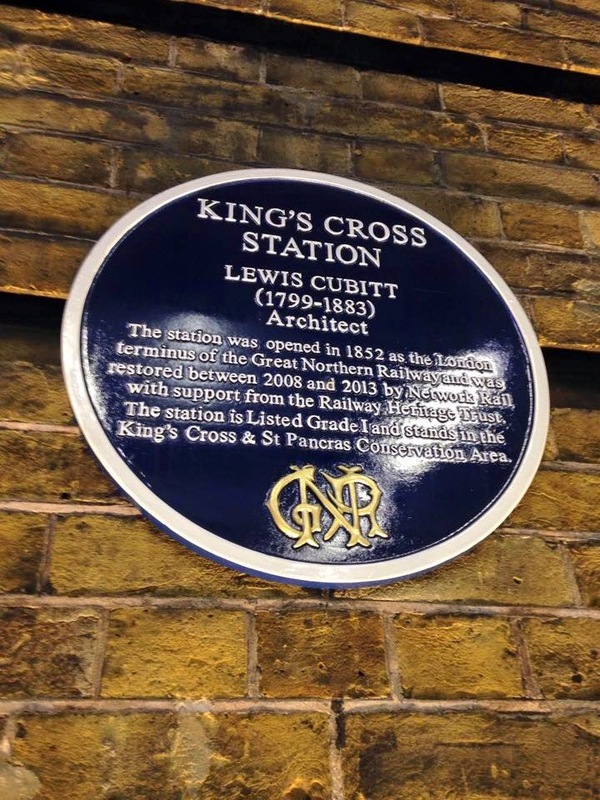 And of course, there was some time to go round King's Cross afterwards and take in the sights. It was a wonderful evening. 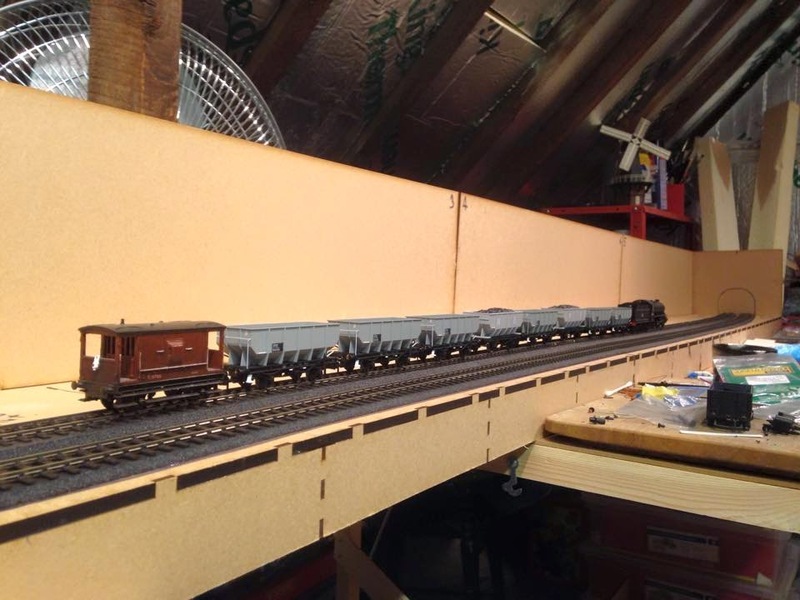 I was thinking I over did it on the railway theme a tad though…! Don't worry, it's not all going to be railway related in the future…! 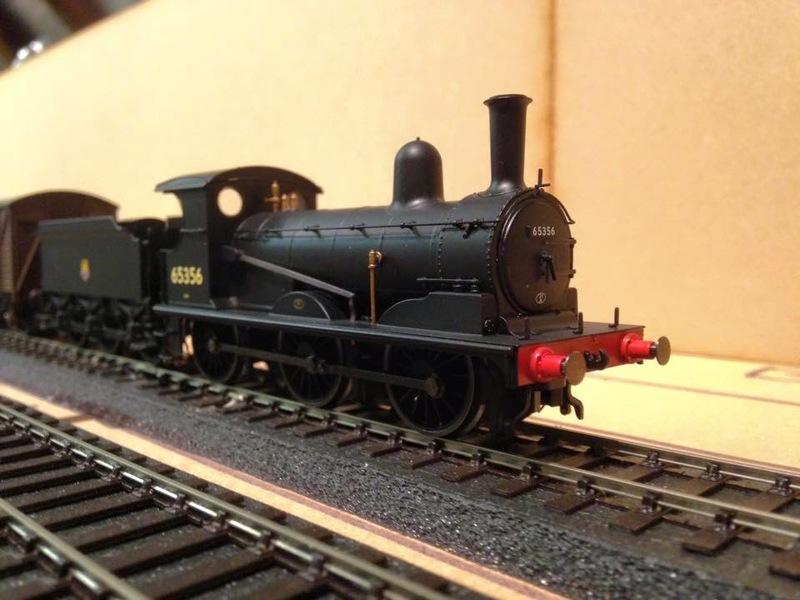 Finally, touching down this week from Invicta Model Rail again was the stunning Hornby J15. 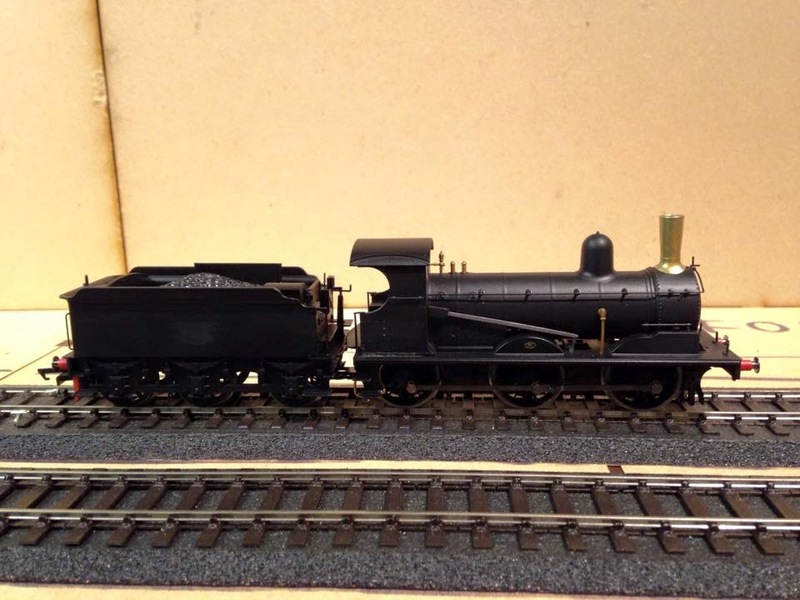 I really don't know how I could describe this model as being anything other than the perfect LNER branch line engine. 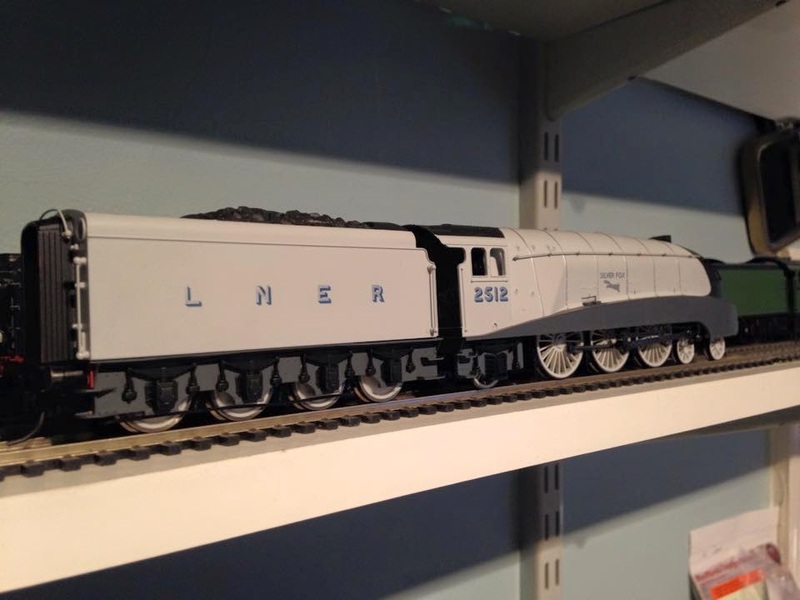 No really - it is the smoothest running model Hornby - or any OO manufacturer - has ever produced. Big claim, but with a five pole motor and two flywheels, a metal boiler and running plate, I think it's a fair one. 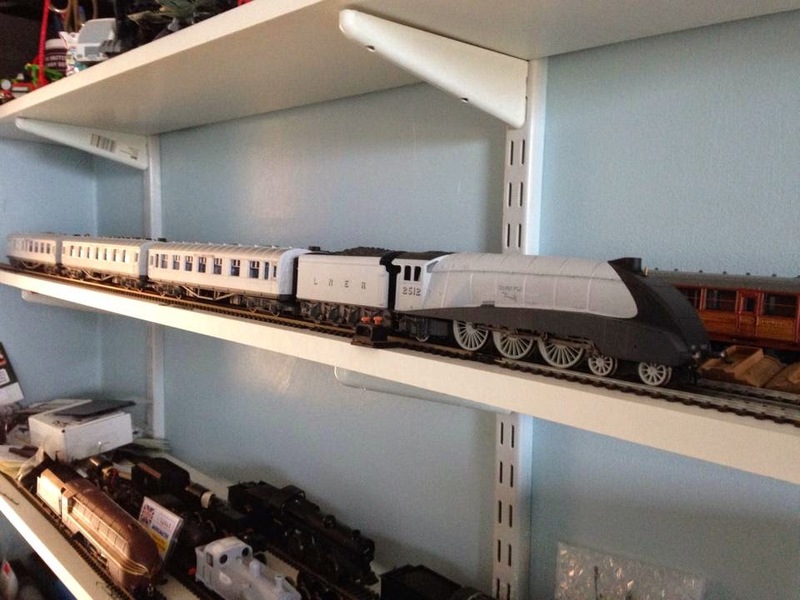 Yes there's a few niggles - the handrails should be inclined, not horizontal, and I'm not 100% sure about the way Hornby have made it possible to do the two versions of the cab sides and roof, but on the whole it's an exquisite model and everyone should buy one! 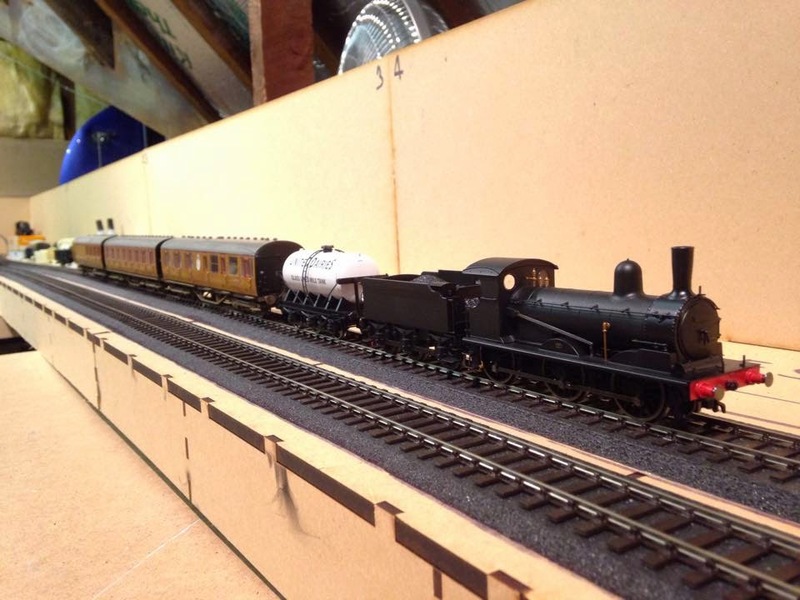 Mine went straight into the works for renumbering and and some modifications, the big change is of course the chimney. Colin at Alan Gibson very kindly sent over in the post this excellent turned brass stovepipe chimney. 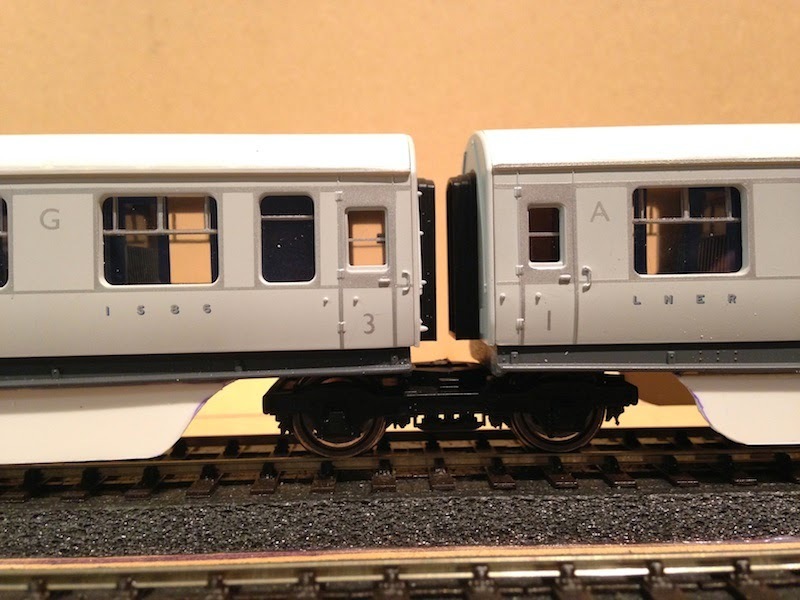 The intention was to put the J15 in early 1948 livery with the lettering and plain Gill Sans numerals, but I can't find a photograph of a J15 like that as yet…! 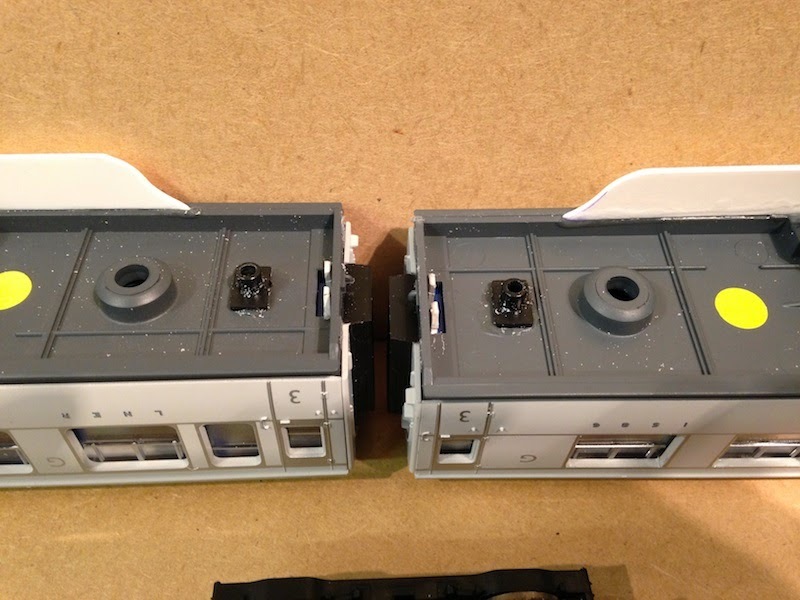 Some black paint was applied for the camera to compare with the second J15 purchase. The shininess will be toned down at the weathering stage. So that was my month of February. 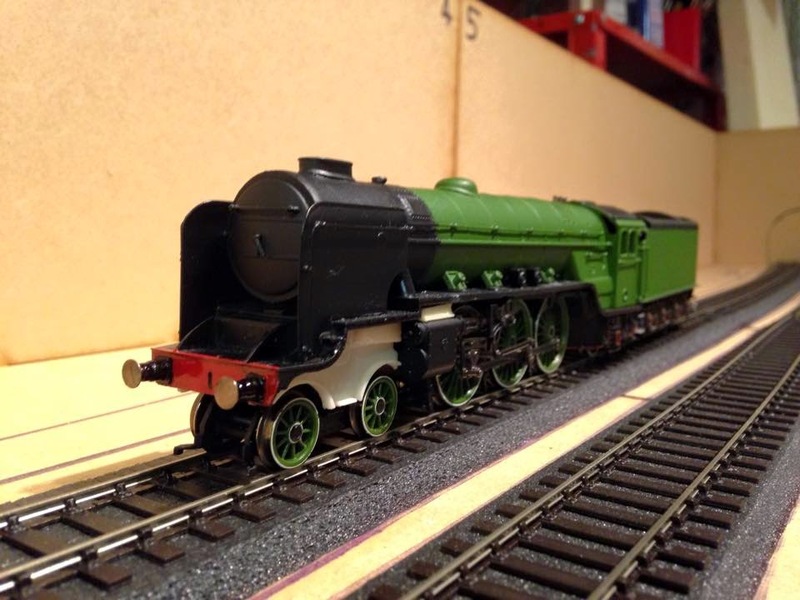 If you have any questions about the modelling, please do get in touch via the email address on the contacts page. Next month's update will hopefully include some layout modelling too. I have just come across this site, having never heard of it before. I am very impressed by your approach to modelling and your pragmatic processes in achieving a realistic and workable model. I, too, believe it's important to be able to adapt, adopt and improve the raw materials we have been able to acquire. 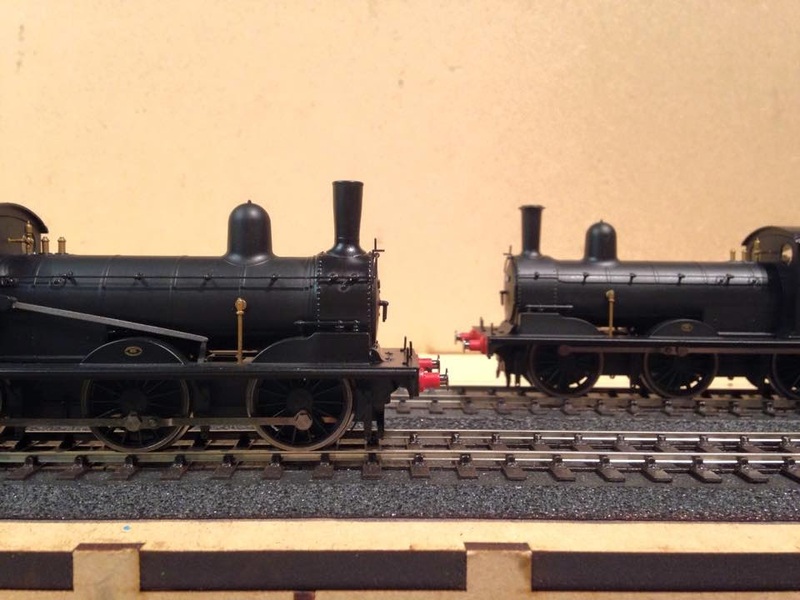 We don't have to buy a load of expensive kits and bits to attain a workable and realistic model.